It is known that Raju Gari Gadhi has turned out to be a surprise hit and is running quite well. Released last week, the movie is gaining good feedback as well as doing well at the box office. Directed by Omkhar, the movie was taken and released by known producers Sai Korrapati and Anil Sunkara. 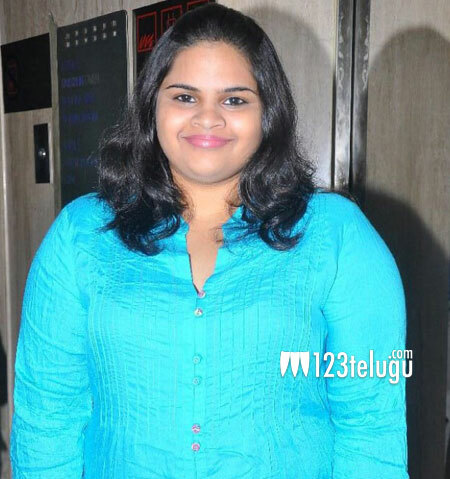 On her twitter account, Vidyullekha Raman, who is known for her comedy roles in Yeto Velipoyindi Manasu and Run Raja Run stated “Some distributors refused to buy our film & said whoever buys are fools as there are no “big stars”. Now they are regretting #RajuGariGadhi”. It is indeed good to see small films succeed as well and we should be thankful for producers like Sai Korrapati and Anil Sunkara for taking the risk and taking up small films. We congratulate the whole Raju Gari Gadhi team for the hilarious hit.